Location: Section 12, Bl. 58, Pl. 20 (15 km. from Waskatenau and 33 km. from Lamont). Ukrainian settlers arrived from the Jaroslav district (Liubyn, Zveniach, Peremyshl, Ninovych). The first services were held in private homes and conducted by the Basilian Fathers. In 1914 the parishioners built their chapel on 3 acres of land, donated by Stefan and Teklia Senyshyn. Three years later it was decided to build a church (60’ x 40’) in the form of a cross with one central dome in the centre. 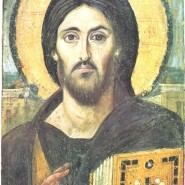 The inside painting was done by Petro Lypynskyi, who painted many churches in our Eparchy. The building organizers were: P. Senyshyn, D. Kotyliak and P. Derevianka. There were 21 families in the parish and every one of them promised to donate $30.00 for the building fund. Special effort was made by S. Senyshyn, I. Halas, P.O. Senyshyn, A. Turko, T. Popyk, P. Derevianka, D. Kotyliak, P. Malowany, P. Kozak and others to finish the construction of the new church. Fr. Naucratius Kryzanowsky blessed the land and the cemetery in 1916 and started to build in 1918. The church was completely finished in 1928 for approximately $4,000.00. The bell tower was built in 1940 by an immigrant from Yugoslavia by the name Shatina for $75.00. The labor was done mainly by the parishioners. The bell, named “Maria”, was a gift of Petro and Oleksa Senyshyn in 1930. The land with the church and cemetery were incorporated with the Ukrainian Catholic Church in 1926. The parish had two vocations to the Sisters Servants of Mary Immaculate – Sister Andrea Synyshyn and Sister Josepha Synyshyn. The following Basilian clergy were providing the services: Fr. Basil Ladyka (1913-1918 & 1921), Fr. Naucratius Kryzanowsky (1910-1922 & 1930-1931), Fr. Matthew Hura (1915 & 1917), Fr. Sozont Dydyk (1916, 1919-1920 & 1922-1929), Fr. Josaphat Tymochko (1925 & 1929), Fr. Porphyrius Bodnar (1922-1923, 1929), Fr. Damascene Popovych (1930-1931, 1941), Fr. Nicon Horechko (1931-1933), Fr. Paul Olinsky (1931), Fr. Mark Romanovych (1933), Fr. Basil Kamenetsky (1930 & 1933-1934), Fr. Theodozy Dobko (1933-1934), Fr. George Zydan (1932, 1942-1943), Fr. Paul Hewko (1932 & 1936), Fr. Matthew Sianchuk (1935 & 1937, 1943), Fr. Lazarus Palenkach (1937), Fr. Nicholas Kohut (1937-1940), Fr. Sebastian Shewchuk (1936), Fr. Athanasius Chimy (1938 & 1941), Fr. Ignatius Lesiuk (1940), Fr. Christopher Kondratiuk (1941), Fr. Lawrence Dzygolyk (1941), Fr. Bernard Dribnenky (1942), Fr. Epiphany Paschak (1943-1944), Fr. Marian Horishny (1946-1947), Fr. Modest Gnesko (1946), Fr. Sergio Fedyniak (1947), Fr. Hilarion Adams (1948), Fr. Benjamin Baranyk (1949), Fr. Volodymyr Shewchuk (1949), Fr. Raphael Melnyk (1972-1973), Fr. Sylvester Kuzel (1973-1983), Fr. Vincent Prychidko (1983-1986), Fr. Ignatius Holowaychuk (1986-1988), Fr. Daniel Wach (1989-1991), Fr. Paul Chomnycky (1992-1993), Fr. John Sembrat (1994-1995), Fr. Josaphat Tyrkalo (1996), Fr. 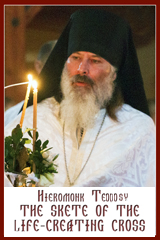 Theodosius Machinski (1997-2000), Fr. Matthew Drury (2000-2006), Fr. Gabriel Haber (2006- ). Three Eparchial clergy served the Parish: Fr. Basil Chopey (1949-1957), Fr. Eugene Dmytruk (1950) and Fr. Peter Iwanec (1957-1971).